Ever wanted to build something useful and beautiful you can show off to your friends? Woodworking can intimidate most people, and is a skill that takes years to learn and perfect. Yet getting started is not that hard. There are plenty of projects that can be done with little knowledge and very basic skills that still have impressive results. Create lovely accent pieces for your home and find how rewarding woodworking can be with these 10 great projects to get you started. 3. How Do You Learn Woodworking? 4. Where Can You Buy My Supplies? 5. Why Should I Make My Own Woodworking Projects? Woodworking is a job for some and a fun, rewarding hobby for others. It involves building things out of wood that we use every day. From tables and chairs to shelves and cabinets, woodworking is a diverse and useful skill. Some simple projects need as little as some glue and paint. Other more complicated projects will require specialty tools like saws, drills, hammers, as well as hardware. For hobbyists, the easiest way is by starting with basic projects and gaining skills and confidence to try more complicated jobs. Each project teaches you more skills to advance. For professionals, some people are self-taught, while others learn through vocational schools or mentoring on the job. These plans use common, easy to find parts and most hardware stores will have the parts you need. 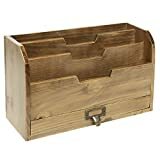 Amazon also has a wide range of easy to find tools and materials for these woodworking projects. Solid wood accents and furniture are expensive to purchase yet the raw materials are often cheap. By being able to make these projects and more, you save money. Also, it allows you to customize the accent to fit your home and uses perfectly. Get good at it and you can even sell your work. To be sure we give you the best woodworking projects we scoured plans and designs for the best ideas out there. These projects offer wow factor results with simple instructions, clear design, and easy to find materials that are also affordable. This list can help you get creating some amazing woodwork projects you can enjoy as well as show off. Most of the projects featured here cost less than $$ for materials. With tools priced between $-$$ depending on the what you need. Starting a simple small project could cost little to nothing by using scrap materials while building a large pergola would be more costly. Yet doing it yourself is less expensive than buying finished products, and allows you to be in control of design and costs. The range of woodworking projects listed offers something for every budget and skill set. The beautifully simple design of this chair is based on the classic Adirondack style. All you need is a circular saw and a drill, and you can create a beautiful wooden lounge chair for a fraction of the cost of ready-made wooden loungers. Made from durable weather resistant wood, this chair is made to last for years of use. In just a few hours this favorite of our woodworking projects can have you sipping lemonade on the porch in a chair made by you. This product can be found on Amazon starting around $$. NATURAL WOOD: Features a natural fir wood finish that adds stylish charm to your deck, backyard, porch, or patio. 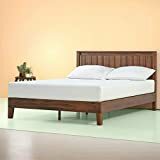 Platform beds easy woodworking projects and are a stylish way to update your bedroom and better yet they are also easy to build. With sleek modern lines, these beds are popular for not requiring a box spring. This allows them to save space while allowing for more creative designs. This platform bed design is simple and easy, and will have your bedroom looking good in no time. This product can be found on Amazon for around $$ on materials. 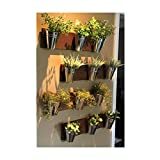 You can quickly add life to any wall with these wooden wall-mounted planters. Paint them to match your decor and design style, and you will have a great display for your houseplants and photos. The clever design uses pre-made parts so that these planters are easy to assemble in an afternoon, with little woodworking skills needed; just a drill and some paint will do it. These beginner-friendly woodworking projects create rustic chic shelves that bring style to any room. This is not your typical boring desk organizer. This creative woodworking project results in a modern and eye-catching desk organizer of stacked wooden boxes floating on a dowel. It is a modern and fun way to hold your pens and office supplies. This design will require more advanced woodworking skills and tools, but the eye-catching results are worth the effort. Rustic wood finished desk organizer is the perfect finishing touch to a classically vintage office or study. Designed with 3 compartments and 1 pull-out drawer on the bottom. Store your office necessities like files, mail, photos, and pens. 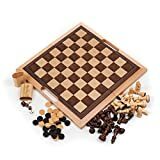 It takes patience, just like a game of chess, but with some basic woodworking skills, you can create a beautiful chess or checkerboard that will last generations. This is one of the classic woodworking projects that uses old tricks to save time, like gluing the wood in strips before cutting to create that timeless checkerboard pattern. Finished with a frame and sanded to create a smooth seamless piece. The result is a rich wooden treasure you can show off along with your game skills. This product can be found on Amazon for around $$ for materials. With tools costing around $$. The elegance of a floating shelf adds dimension and detail to a room by allowing you to display your photos and collectibles beautifully. Most people don’t realize building these shelves is a simple woodworking project they could do in an afternoon. With the addition of ropes and pulley hardware, this design sets itself apart. 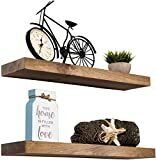 The finished product is not only a useful shelf, but a stylish addition to a room that you can brag about creating on your own. A lovely wooden cookbook stand is a happy addition to any kitchen. This easy to make woodworking project results in a seamless design that can use re-purposed materials even to add a special touch. The finished product helps any cook have their recipe at the ready while they cook. It is also a handy piece for holding a tablet and watching cooking videos. A perfect, easy project that makes a great gift as well as something to show off at your next dinner party. The tools can be found on Amazon for around $$, with materials costing about $$. Layers of wood and a sleek modern design make these candleholders real eye catchers. 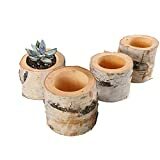 They are cleverly made by stacking plywood rounds to create a beautiful wooden cylinder with the center hollowed out for tea lights, allowing for easy refills. With candles flickering above the warm wood tones, they add a cozy touch to any room. The right tools make these candle holders woodworking projects that are quick and rewarding. These candle holders create the perfect for your wedding, party, or you can use them in your home as a decor. There is something about enjoying an afternoon sitting under a pergola. Their classic wooden construction help define an outdoor space providing some shade while still allowing for views. Whether draped with vines, strung with lights, or left in its simple wooden beauty, a pergola creates a magical outdoor space. One of the more complex woodworking projects, this plan will require help to assemble and multiple woodworking tools. Yet the challenge and hard work will be worth it with a grand statement for your yard. Guests can enjoy outdoor dining and gardens, while admiring your building skills in this beautifully designed project. This product can be found on Amazon for around $$ and will help with assembly. Total materials start at $$ and up based on size of the final structure. The simplicity and joy of a tree swing will make anyone feel like a kid again. 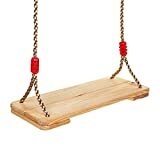 This is one of those woodworking projects that is easy and quick, so that soon you can be swinging the afternoon away. This swing has a creative design, using wooden beads and slats to create a flexible seat that is lightweight for hanging, yet sturdy. Better yet, it is so easy to build, requires easy to find materials, and will look great in your yard for years to come. This rope can be found on Amazon for around $. While other materials will cost about $$. There are so many ways to wow visitors with your woodworking skills, whether you are just learning to make things, or are an old pro. We love how each of these projects allows you to find your own style and skill set to create something special. 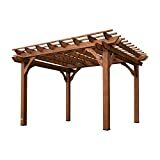 For maximum wow factor the Pergola is obviously impressive, and sure to amazing any guest with your woodworking skills. Yet for most of us, it is beyond our abilities and is best left to the experienced woodworker. For beginners, our pick is the hanging planter shelves. They are so simple, and make such a statement with little skills or tools required. These shelves are a great way to get quick results from your woodworking projects to show off. 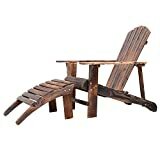 The best overall pick to impress your guests with your woodworking project skills, we think, is the lounge chair. It meets all the important features: it's useful, simple to build but requires skills, is affordable, and it looks fantastic. The lounge chair will impress friends and family as they sit back and relax in your handy work. Learning woodworking is challenging, but offers rewarding results in usable, beautiful wooden pieces. No matter if you are looking to learn skills, make some quick decor, or be able to lounge in the results of your hard work; we hope these woodworking projects have inspired you to create something entirely your own. Hey Buddy!, I found this information for you: "10 Home Woodworking Projects That Will Surely Impress Your Visitors". Here is the website link: https://www.explodedhome.com/10-woodworking-projects/. Thank you.